Humans have an impact on just about every aspect of the environment. As our population expands, so does our potential for disrupting nature and climate. Sustainability is the practice of changing habits so that humans and nature can coexist without damaging the environment. Efforts to make things more sustainable can be global and local. The Paris Agreement is an international effort to get countries all over the world to decrease their greenhouse gas emissions. In your own home and community, you can do things like recycle and use reusable bags instead of plastic. Any sustainable practices — large or small — are important steps in helping us make Earth a safe home for future generations. 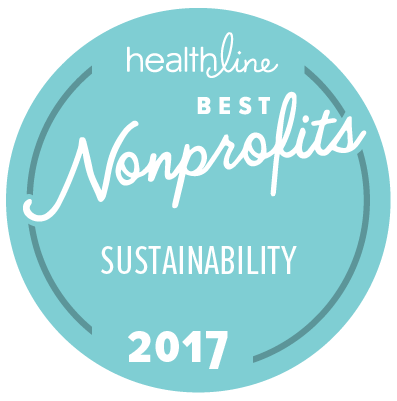 These nonprofits are each doing their part to promote sustainability. They help people work toward the goal of living in harmony with the environment. Established in 1892, the Sierra Club has been part of many campaigns and legislation to protect wild lands. The nonprofit helped pass the Clean Air Act, Clean Water Act, and Endangered Species Act. One of the its major initiatives is retiring America’s coal plants and moving the country toward clean energy sources. The Sierra Club also offers outings that give people the chance to experience environment-friendly travel. Currently, it’s collecting money for community-led efforts to help hurricane recovery. Protecting wildlife and its habitats is the Wildlife Conservation Society’s (WCS) mission. The organization funds scientists who study ecosystems in the environment. These scientists find out what threats they face and what we can do to preserve them. WCS has four zoos and one aquarium in New York. These operate with the goal of saving endangered species and learning more about wildlife. The nonprofit works with governments, communities, businesses, and indigenous people to protect wildlife all over the world. It also fights to pass and protect legislation that conserves animal habitats. The Environmental Defense Fund (EDF) focuses on environmental issues that affect people. These issues include climate change, pollution, and the need for sustainable food production and ocean conservation. The EDF helps shape economic markets, partners with businesses, creates government policies, and uses scientific research to work on solutions to our current problems. For example, the EDF worked with politicians from both parties to create the Lautenberg Act, which President Obama signed in 2016. The act reforms old chemical safety law. This helps make sure products we buy are safer for us and the environment. The Defenders of Wildlife is a voice for wild animals against big oil and other corporations with agendas. Defenders keeps a close eye on government policies that may cause harm to environments these animals depend on to survive. Right now, the nonprofit is watching the HELP for Wildlife Act. This act takes wolves in the Great Lakes region and Wyoming off the endangered wildlife list. It also attempts to weaken the Endangered Species Act. The Defenders of Wildlife also help promote coexistence strategies for humans and wildlife. The nonprofit looks for ways to fight climate change, too. The World Wildlife Fund (WWF) works in about 100 countries to conserve forests, fresh water, oceans, wildlife, food, and climate for both animals and humans. One of the WWF’s main goals is to educate people about the impact we have on our environment and what we can do to conserve it. The WWF also offers a fellowship to students getting graduate degrees in conservation-related fields. There are chapters in local communities and in the global marketplace. Each day, 123,000 acres of forest get destroyed. The Rainforest Alliance aims to preserve forests and their ecosystems and help people find sustainable ways to use land and produce food. The nonprofit recognizes that people rely on land and forests to grow food and make a living. But it also believes we can do that without causing harm to the environment. Rainforest Alliance works with the agriculture, forestry, and tourism industries to change their practices. The nonprofit also offers sustainability training around the world. We all depend on the planet’s natural resources to survive, but humans have been draining them at a rate that’s not sustainable. The World Resources Institute (WRI) conducts its own research to collect data to help us move toward sustainability. The nonprofit then uses this information to educate and influence governments, businesses, and the community. The WRI has projects all over the world. These projects help countries use clean energy sources, conserve forests and water, reduce waste, and lessen our impact on climate change. Conservation International (CI) works to protect nature for wildlife and humans. CI believes that nature doesn’t need people — but we need its ecosystems for food, jobs, fresh water and air, and our health. If we want to have a future, we need to learn to be sustainable. The organization thinks long term and proposes solutions across government and private sectors. Some issues CI focuses on include making coffee production more sustainable and keeping an eye on sharks in the oceans. Often, calls for economic development can conflict with sustainability goals. The goal of the International Institute for Sustainable Development (IISD) is to bring the two together without sacrificing one in favor of the other. The organization uses its research to work with policymakers and private businesses to reform policies and build sustainable solutions. IISD also works on international trade. One example is North American Free Trade Agreement (NAFTA) renegotiations. Our collection and burning of fossil fuels is one of the main contributors to the climate change we’re seeing today. The Rocky Mountain Institute (RMI) works to move the world away from fossil fuel demand and toward sustainable, low-carbon energy sources instead. The RMI provides information and resources that help businesses and other institutions around the world save energy and reduce pollution. For example, its programs in China and on islands with small economies guide both toward clean energy. Green America believes sustainable solutions can be put into action by using economies as a driving force behind them. The nonprofit encourages consumers to spend on green products and services. It also encourages businesses to adopt eco-friendly practices. Some of Green America’s successful initiatives include ending True Value and Walmart’s use of bee-killing pesticides, getting a handful of food companies to end the use of GMOs in products, and helping magazines switch to recycled paper.